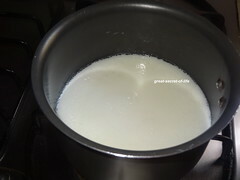 Boil milk and let it cool down. 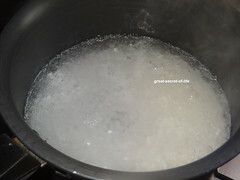 Boil water with salt. 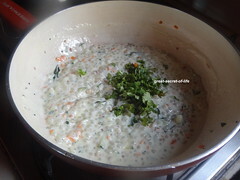 Add washed sago. 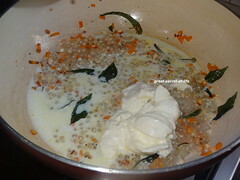 Heat oil and add mustard seeds. 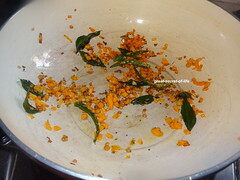 When it pops add urad dhal, benga gran dal, curry leaves. Fry till brown in color. Add carrot. Fry for a min. 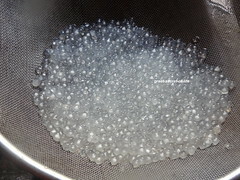 Add Cooked sago pearls.Add boiled milk and yogurt. Mix well. 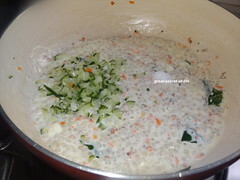 Add cucumber and Mustard seeds powder, coriander leaves. Wow! 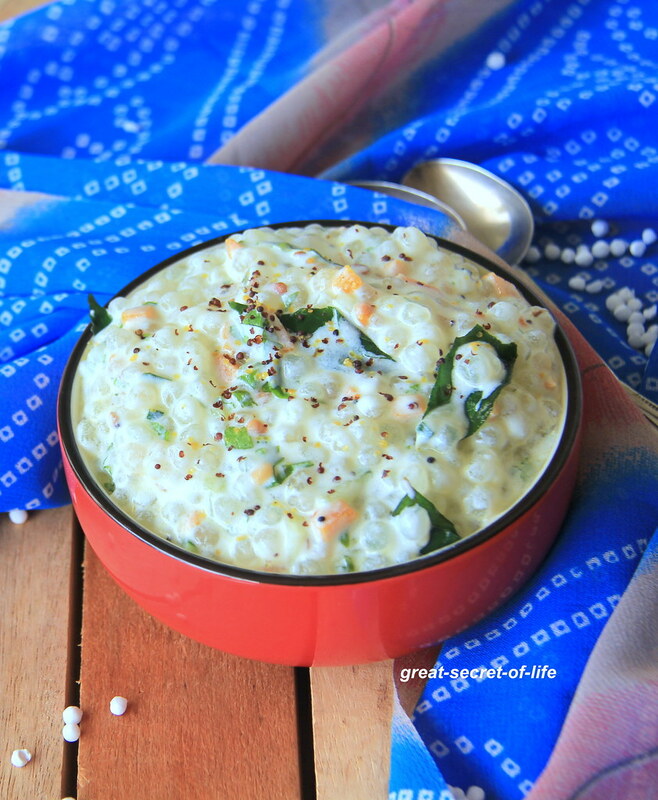 I eat sabudana kichdi and kheer during fasting days, but never tried with yoghurt, though I love it a lot. Shall try this combination. Absolutely yummy looking pictures Veena. 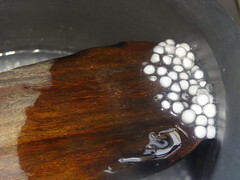 Thats one lovely bowl of sago!! Love it!! Oh !! 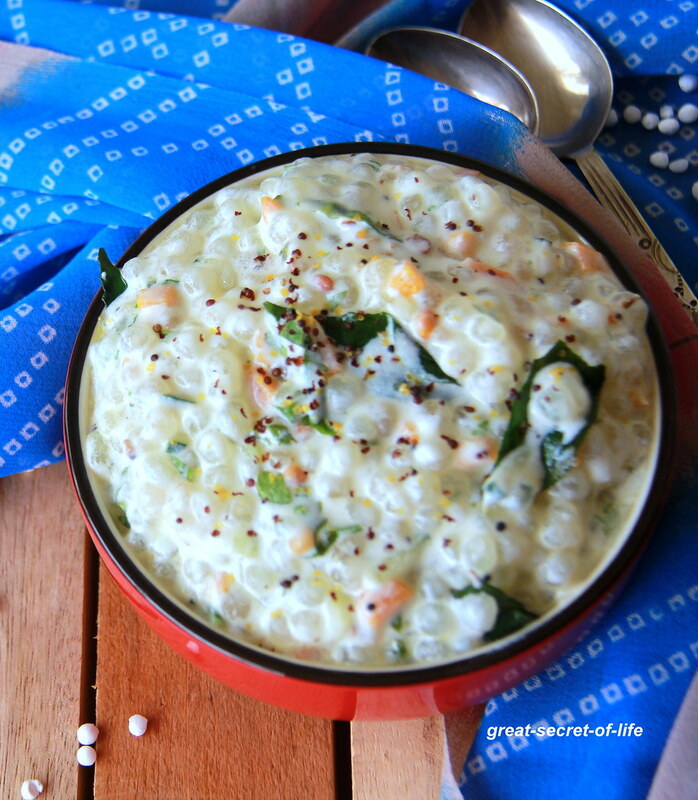 what a creamy delicious sabudana..Loving the new idea veena. 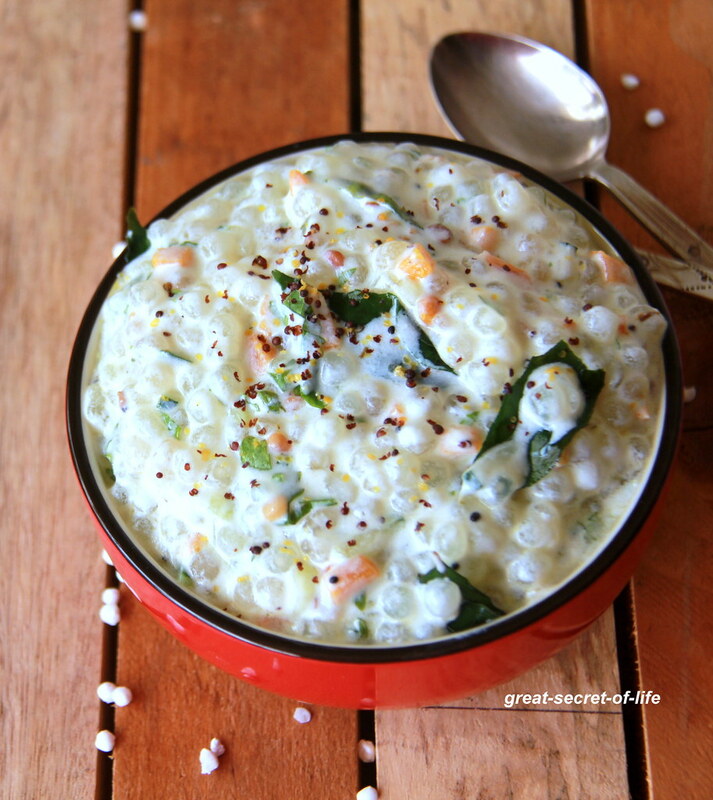 Wow, this looks so delicious, going to try this soon..